Jim Taylor is a true professional, humourous, yet extremely knowledgeable and definitely on the list of Canada’s most prominent sports journalists. The following is mostly in his own words. 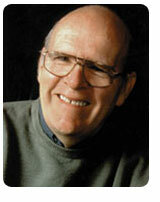 He began his newspaper career in Victoria, B.C., in 1954 at the Daily Colonist, as a part-time sport reporter. He was 17, in Grade 11, and so nervous that he didn’t give up his paper route because he figured the reporting job would never last. “I wrote for the Colonist at night for a year and then delivered it in the morning,” he recalled. “Then, heading into Grade 12 and suspecting there might be homework, I wrestled with my first major decision: write or deliver? Writing was fun, but subscribers didn’t give tips at Christmas. Delivering was easy, but paper boys didn’t get into games for free. Two days after graduation, Jim moved into the sports department full time and stayed — 10 years. After a year with the new Vancouver Times (“It folded, but there were a few people who said it wasn’t entirely my fault.”) Jim went back to the Colonist for a year — then returned to Vancouver for 13 years with the Vancouver Sun — 17 with the Vancouver Province — writing a daily sports column from 1971 to 1995. Jim also has a syndicated radio commentary show and was part of a one year venture with the now-defunct weekly Sport Only, published in Vancouver. He’s now back in the column game, syndicated nationally by the Calgary Sun. “In my mind that was all it was — a temporary thing until I got a chance to write the stuff I wanted to write. And I got lucky because I kept looking for and writing the oddball, funny stuff in sport, and most of it was awful, and nobody fired me, or shot me, or told me to cut it out. “In fact, they encouraged me, even hauled me out of sports to do the offbeat cityside stuff. They let me write a column when I was nowhere near ready, and lived with it while I learned to do it properly and, almost incidentally, to discover that writing sports was the best job in the world! “I don’t think in terms of sportswriters. We are writers who happen to be writing about people who happen to be involved in sports. Athletes get their rush from playing. I get mine sitting in press row and watching Mike Tyson chew Evander Holyfield’s ear and knowing I’ve got 10 minutes to write it. That’s my Stanley Cup Final, my World Cup. I’ll quit the day they close the lid on the box! The gifted Taylor lives in Vancouver with this wife, Deborah and Risky, the brain-dead Dalmation, working out of his basement. He prefers watching the two Vancouver pro teams — the Canucks and the Grizzlies on television.